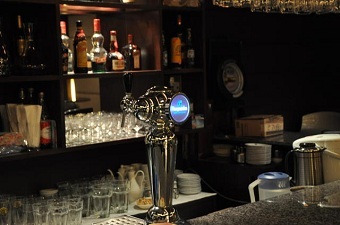 It is an exclusive venue to eat, drink and relax with friends in the heart of Central. 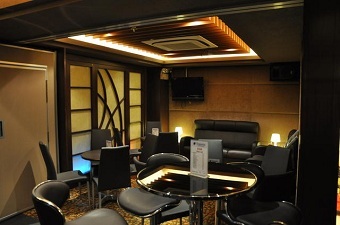 It offers a wide range of spirits, cocktails, beers, wines as well as freshly brewed coffee and Tai Pai Dong milk tea. Our kitchen provides freshly prepared snacks such as Fried Bean Curd and Shrimp Toast. The Lounge also serves deluxe Lunch Box' set complete with soup and fruit from 12:00 pm to 2:30 pm on Monday to Friday, for busy executives who wants good food quality despite limited time. The convenient location and comfortable setting of Alumni Lounge provides a perfect choice for small and medium sized private gatherings. For enquiries, please call Mr. Lau Chi-on at HKUAA ( 2522 7968 ). **The Executive Committee of the Hong Kong University Alumni Association reserves the right to change menu and price without prior notice. 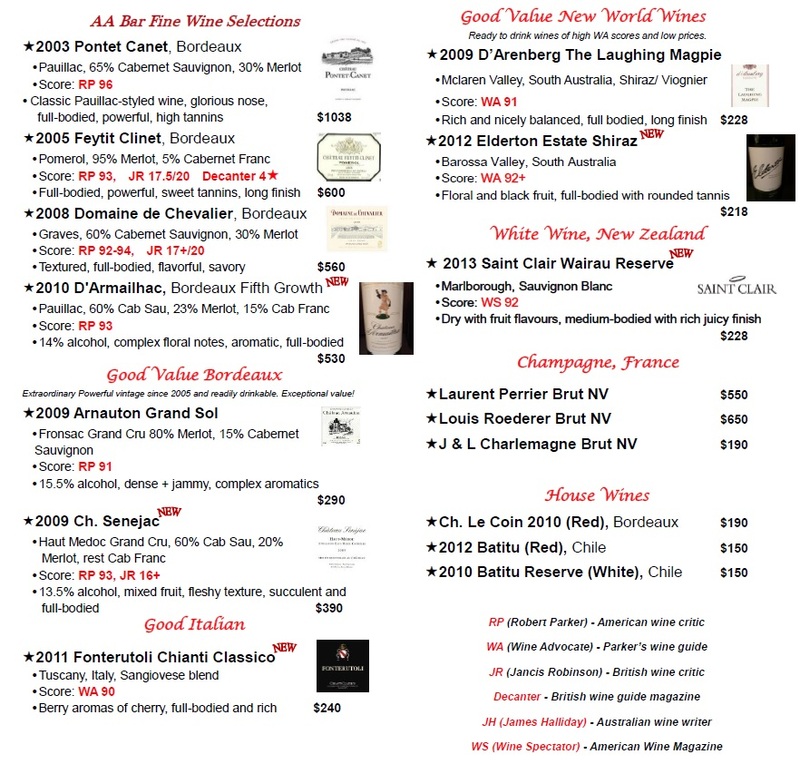 Corkage fees will be charged to wines brought for consumption at the HKUAA Clubhouse. Outside food and drinks are not allowed inside HKUAA Clubhouse. Cake cutting fees will be charged (cost will be waived for Life Members).